Don holds a Bachelor’s Degree in Fisheries and a Master’s Degree in Natural Resources from the University of Wisconsin – Stevens Point. He worked as a Fisheries Biologist for the Iowa Conservation Commission for 7 years and as a Fisheries Scientist for Duke Energy for 15 years before founding Aquacoustics in 1996. He has been involved with fisheries acoustics for more than 25 years and has extensive experience in project management, design, implementation, data analysis and training. He has conducted field work throughout Alaska, the lower 48 states and Canada. 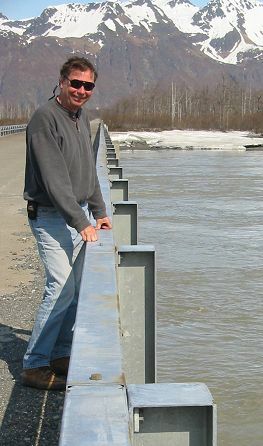 His broad experience with fisheries acoustics covers a wide range of technologies including imaging sonar, side-scan sonar, split-beam and single-beam, applied to an equally wide range of projects, such as fixed site monitoring in remote rivers, hydroelectric projects, navigational locks and dams, as well as mobile surveys in reservoirs, lakes and rivers. Anna-Maria holds a Master’s and PhD degree in Molecular Biology from the University of Vienna, Austria, and a postgraduate degree in Environment and Development from the University of Cambridge, United Kingdom. She worked on fisheries projects at remote sites in Alaska for the Alaska Department of Fish & Game before joining Aquacoustics in 1998. She has 18 years of experience in fisheries sonar and related GIS work. She has played a key role in the development of new methods for analyzing imaging sonar data (ARIS and DIDSON). Her current work focuses on the automation of analysis tasks in Echoview, improved target classification, spatial analysis, mapping and 3D visualization.